Talk to me. 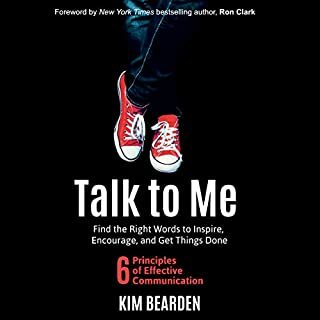 From Kim Bearden, cofounder of Ron Clark Academy and author of the best-selling book Crash Course: The Life Lessons My Students Taught Me, comes a powerful guide for improving communication and building better relationships. Whether you are a teacher, administrator, parent, or business professional, chances are you struggle at times to find the right words. Talk to Me gives you those words. In this instructional and inspirational handbook, you’ll learn how to choose words that inspire, encourage, and move people to action. Inspire yourself and others with the second edition of this best-seller. 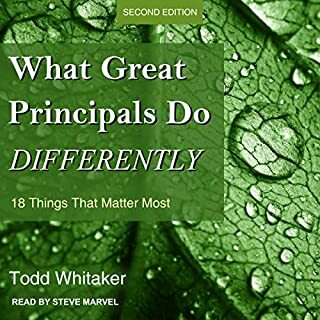 With heartfelt advice, practical wisdom, and examples from the field, Todd Whitaker explains the qualities and practices that distinguish great principals. This audiobook is a compilation of my experiences as a school leader. Enjoy the stories, tips, and strategies to handle all that comes your way in your position of leadership. Take it and use it as your own! Survive and thrive and do the best you can for your students and staff! 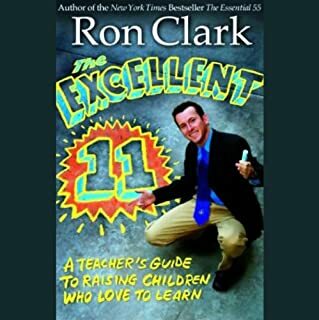 New York Times best-selling author and award-winning educator Ron Clark applies his successful leadership principles to the business world in this effective and accessible guidebook, perfect for any manager looking to inspire and motivate his or her team. Teamwork is crucial to the success of any business, and as acclaimed author and speaker Ron Clark illustrates, the members of any team are the key to unlocking success. Imagine a company as a bus filled with people who either help or hinder a team's ability to move it forward: drivers (who steer the organization), runners (who consistently go above and beyond for the good of the organization), joggers (who do their jobs without pushing themselves), walkers (who are just getting pulled along), and riders (who hinder success and drag the team down). It's the team leader's job to recognize how members fall into these categories, encourage them to keep the "bus" moving by working together, and know when it's time to kick the riders off. What an inspiring book!! 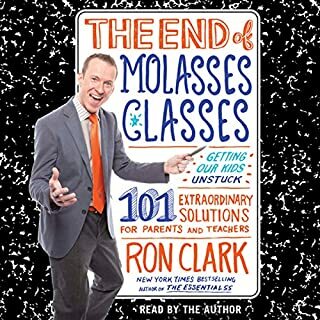 Ron Clark really hits the mark on schools and businesses and how to make the most of the people you have around you. This book can help reconstruct the thinking of how to teach the youth. I am truly grateful for being introduced to this story. I will be going back to school to teach and will keep all these lessons in mind as I start my new endeavor. 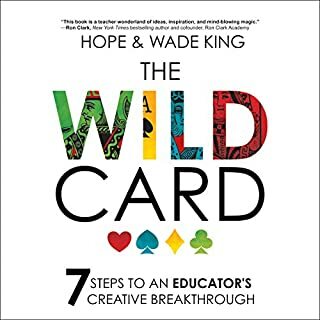 This is an incredible book especially recommended for educators - but also, anyone! This book will make you question yourself and ignite a fire in you to be better. Ron Clark is truly inspirational! I enjoyed the book. lots of good reminders. Would be an excellent read for new teachers and seasoned principals. 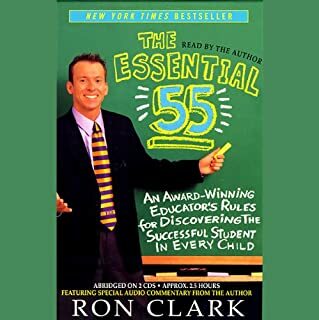 I am a follower of the influential Ron Clark and this book delivered. I love hearing him read the story and laugh and add inflection like only he can while telling his story. 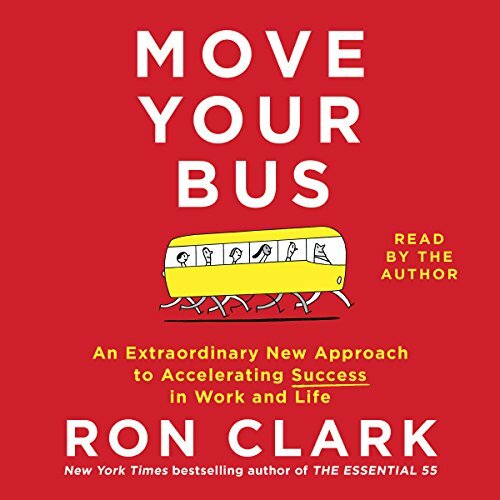 Whether you are a teacher, principal or businessman- allow this book to resonate with you and help inspire you to move your bus! I was a little disappointed. The author didn’t appear to be excited or enthused about doing a book more less an audio book and it shows. I bought the book because of his popularity but was not impressed with the content. It felt like the content was rushed and improvised as opposed to being well thought out. Reading this book was inspirational, reflective, and motivating. A must read for leadership teams or staff. Loved it! All educators should read. Easy read, great details, perfect for the drive to work. Inspiring! what an awesome set of stories. I'll pass the book to the managers in my team. Awesome, inspiring, simple to follow. Not a how to but an outline of what to do.